Greetings, soul-laden mortals! 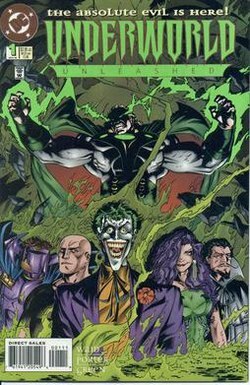 In this episode, naive bargainers Chris (@AceComics) and Reggie (@reggiereggie) kick off 2018's #BestEventEver crossover occurrence, when they read Mark Waid and Howard Porter's Underworld Unleashed #1, published by DC Comics in 1995! After the creators' bios, our misguided dabblers in the occult sift through every moment of this issue. Later, they look at other incarnations of the Dark Lord that have appeared in comics since the very beginning! There's no need to panic about this episode, you have nothing to lose...except for your soul! So if that's the sort of thing that would bother you, then yeah, go ahead and panic. Change is in the air for the plucky pop-up imprint that could (or, could it?). Word on the street is that there's a hiatus on the horizon... of course, using our 2018-vision, we know what that's all about... however, in the Summer of 2017... we hadn't the foggiest idea what this might mean for our Young Animal pals! Hello, investors! In this episode, rabid speculators Chris (@AceComics) and Reggie (@reggierggie) finish their talk about comic books' direct market, taking it from about 1988 until the present day! 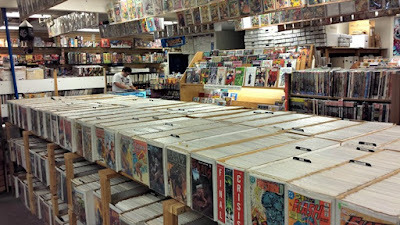 They talk about comic book collecting during a speculator's bubble, and how this affected distribution and the the operating companies when that bubble burst. Our armchair economists also look at Marvel's financial dealings during the period, including the fateful acquisition of Heroes World, and what really cause them to file for bankruptcy in 1997. 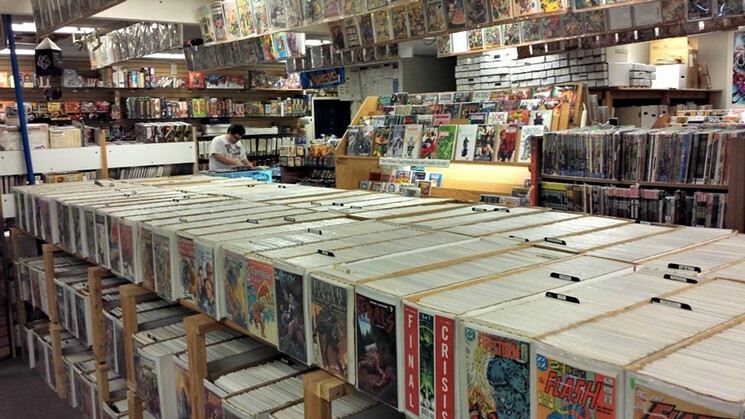 It's not all doom and gloom, however, when they discuss how comic book retailers reinvented themselves as something more in the late 1990s and into the 21st Century. Plus: Anedcdotes and recollections of the period! After this episode, you should know enough about the crazy business of comic books to stay as far away from it as possible. Face front, soldiers! 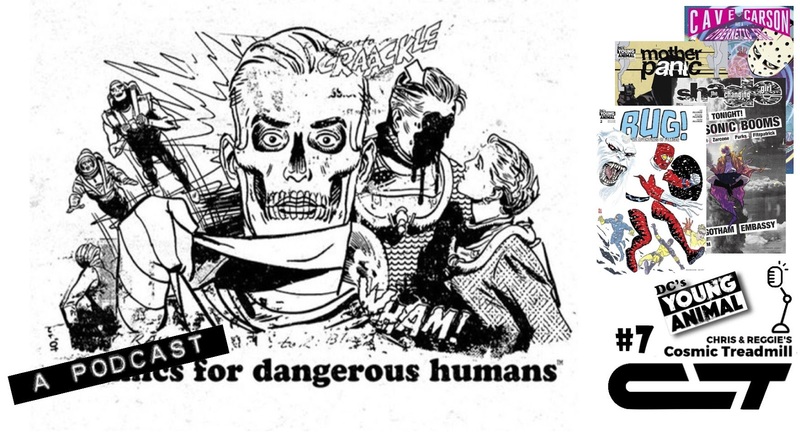 In today's mission, Privates Chris (@AceComics) and Reggie (@reggiereggie) dive into the life and work of the beloved editor, writer--and cartoonist!--Archie Goodwin, when they read Atlas/Seaboard Publishing's Savage Combat Tales featuring Sgt. 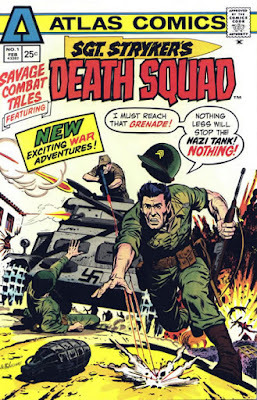 Stryker's Death Squad #1 from 1975! 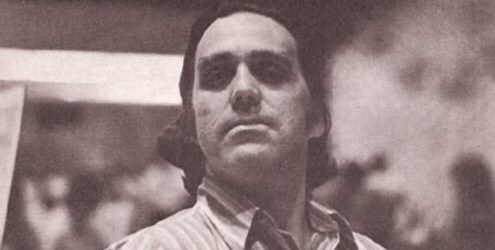 With the usual biographical information about the artists, this episode contains a full run-down of Archie Goodwin's career, along with many quotes by the people that worked with him and the man himself. Plus, our troops detail every moment of this seminal war comic in the usual fashion! 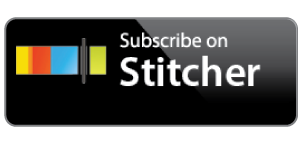 Be sure to enlist for listening to this episode right away! 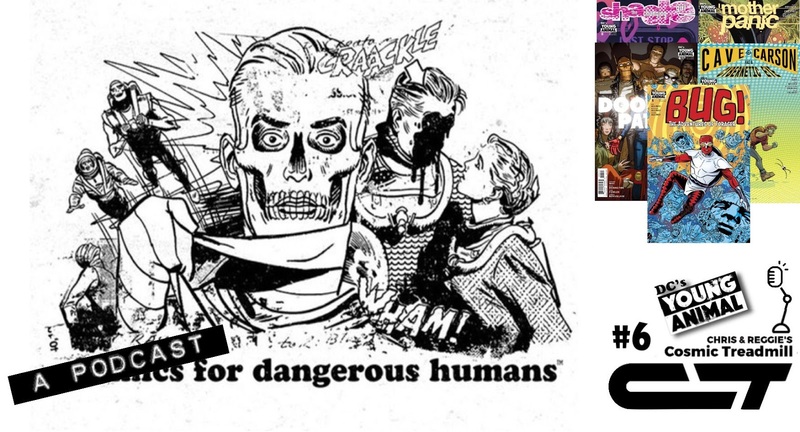 Stop us if you've heard this one before... We have no Doom Patrol today. Hmm, since that might just stop you from checking out this episode, please forget we said anything! 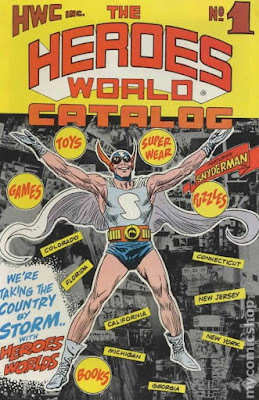 Between the years 1983 and 1986, DC Comics... in association with various companies (including Keebler, the American Soft Drink Company, IBM, and American Honda) as well as the United States Government, put out five special comic books. Three of these comics featured the New Teen Titans, and were presented by The President's Drug Awareness Campaign (featuring a letter from then-First Lady... and potential Manhunter... Nancy Reagan). The remaining two starred Supergirl. Those were presented by the United States Department of Transportation's National Safety Belt Campaign (these opened with a letter from then-Secretary of Transportation, Elizabeth Dole). We covered the lot of 'em... and now, you can find our thoughts right here in this handy "box-set". Weird Comics History ep. 30 - The Direct Market, Part One! Hello, comics enthusiasts! 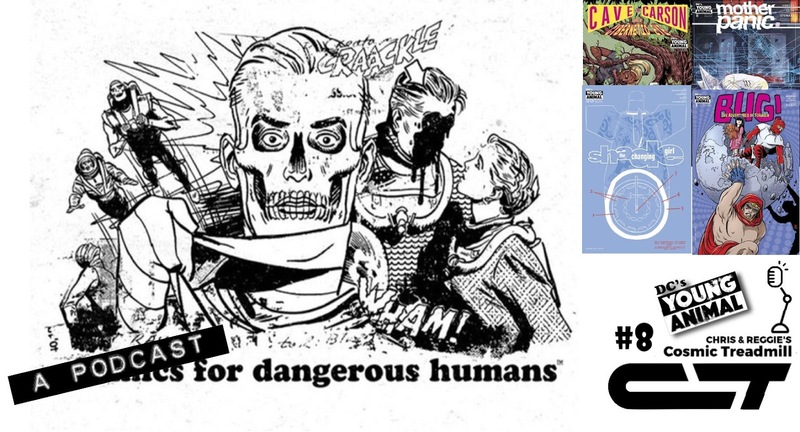 In this episode, Chris (@AceComics) and Reggie (@reggiereggie) tackle a subject they've been meaning to cover since the very beginning: the comic book industry's direct market! In part one of two, they'll cover the dirty beginnings of newsstand distribution, and how it developed through the 20th Century. They'll talk about some of the big figures in early comics fandom, and the developing aftermarket that developed around comic book collection. 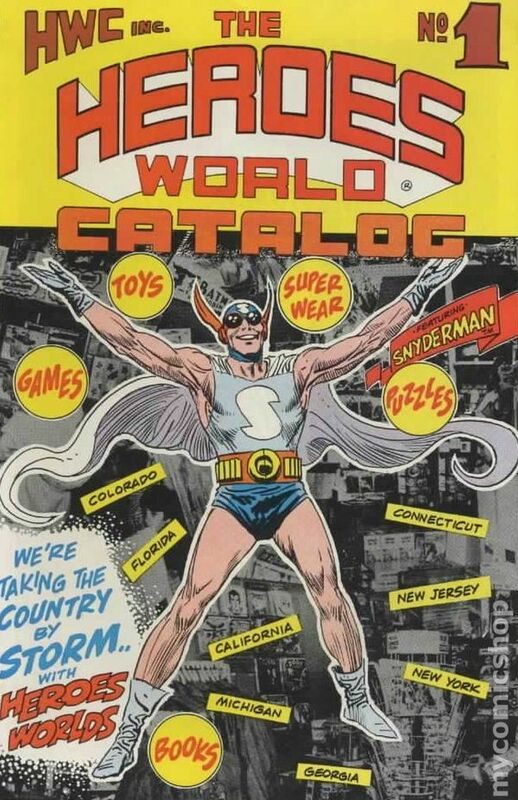 This will lead them to discuss Phil Seuling, the first to directly distribute comics from the publisher to retailers and collectors, and that business would continue and expand in interesting ways, which are covered in great detail. At the end, they leave things off just when things are about to get hot—and comic book distribution will get really, irrevocably weird! We've got a big episode for this installment of the Young Animal Gatherum... not only do we have an issue from ALL FOUR of our ongoings, we're also launching the first Young Animal miniseries... Bug! The Adventures of Forager. Cosmic Treadmill ep. 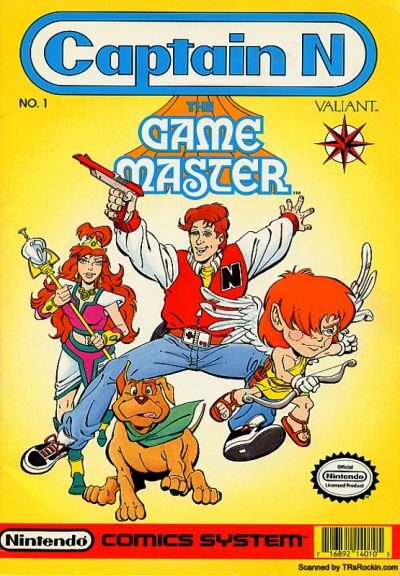 106 - Captain N: The Game Master #1 (1990) + A History of Valiant Comics! Ready player one: start! In this episode, gamers Chris (@AceComics) and Reggie (@reggiereggie) dive into the weird world of Videoland when they read Captain N: The Game Master #1, published in 1990 by Valiant Comics! After a brief look at the history of video games and Nintendo, our Italian plumbers read all four stories in the issue, providing creator biographies whenever it "seems" applicable. After a short break, the guys return to provide an exhaustive history of Valiant, thanks to exhaustive research by Ryan McLelland, and talk about some of Nintendo's less popular innovations. It's more fun than you can shake a joystick at, and you won't even need to put your quarters up! Greetings Young and Animalistic ones! This week's episode... kinda like a unicorn and bigfoot all wrapped into one, Chris (@acecomics) and Reggie (@reggiereggie) will be discussing ALL FOUR Young Animal books! PLUS: Our first "State of the Imprint Address" wherein data is crunched and cancellation fears begin to raise their ugly head! 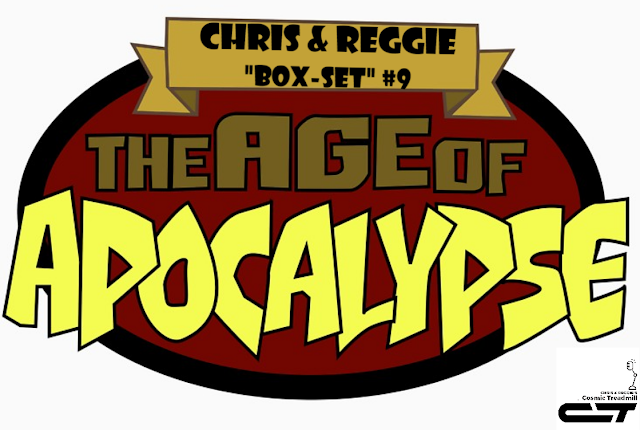 Welcome friends, to the Ninth "Box-Set" post... this time "collecting" our six-part 100th Episode X-Travaganza, a deep-dive into Marvel's Age of Apocalypse from 1995! It's the dawn of a new day, comics enthusiasts! In thie episode, time-jumpers Chris (@AceComics) and Reggie (@reggeireggie) conclude their six(!) 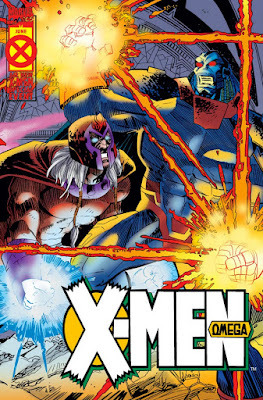 part look at Marvel Comics' 1995 X-Men event, Age of Apocalypse, when they read X-Men Omega #1 by Scott Lobdell, Mark Waid and Roger Cruz! After some quick biographical recap, they detail every moment of this show-stopping conclusion, providing context wherever available. Not content to leave things there, our Doctors Who then go over X-Men Prime #1 by Scott Lobdell, Fabian Nicieza, and...many talented artists. 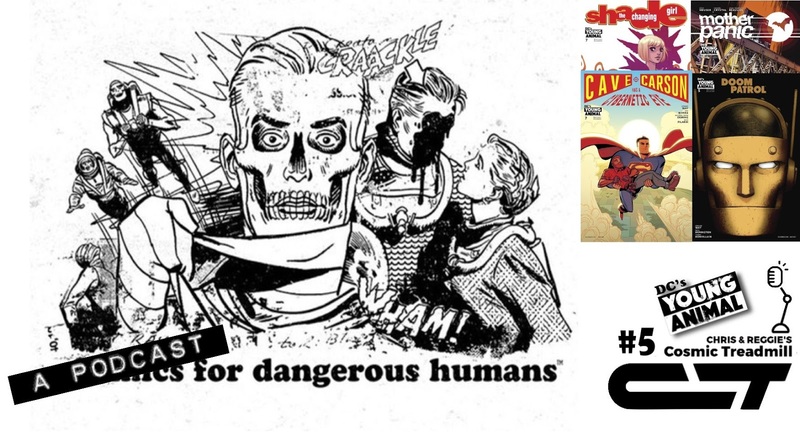 After some post-Apocalyptic biographies for event architects Lobdell and Nicieza, our pair discuss the fallout from this "self-contained" event, and share their personal thoughts about it--one having read it for the first time for this podcast, the other having bought it as it came out in 1995! We bet you can guess which is which. Listen in to find out if you're right!